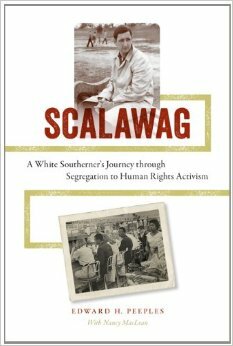 This is part 2 of the conversation with Ed Peeples who is a human rights activist, emeritus professor from VCU, and the author of Scalawag: A White Southern’s Journey through Segregation to Human Rights Activist. This is a frank conversation about race and Ed’s experience fighting racism. The first part of the conversation is on episode 44 and can be found here. This entry was posted in 20th Century, 21st Century, civil rights, Uncategorized by HistoryReplaysToday. Bookmark the permalink.